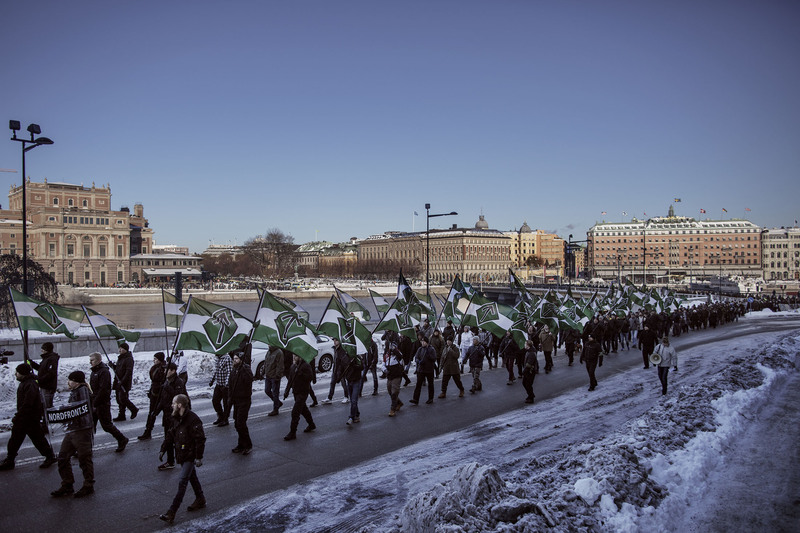 Members of the Nordic Resistance Movement, march past the Royal Palace in central Stockholm, Sweden. Around 600 members and supporters attended the event organised by the right-wing extremists. Outside police checkpoints, counter-demonstrators shouted abuse.